Ledger Nano S is a popular hardware Bitcoin wallet. This type of wallet stores your private key and public address in a hardware device like a USB. Hardware wallets keep your data immune from computer viruses and reduce the risk of losing bitcoins online. Ledger Nano S is a hardware wallet available for Bitcoin, Ethereum, and Litecoin users. To use the device, you just need to connect it to your computer. It has a built-in OLED display that confirms and double checks every transaction made. To get started, you just need to connect the USB to any computer. You have the option to create a new wallet or use your Bitcoin or Ethereum wallet. Next step would be choosing your four-digit PIN. This will always show up each time you use the device. You also need to have a recovery sheet to make sure that your wallet is safe. After the device configures, you can download the Chrome app. Now, you can start using your Ledger Nano S.
Apart from being a cheap wallet with a price of €58, this hardware Bitcoin wallet comes with a lot of features. It has a secured chip that keeps all your data protected and open-source apps for Bitcoin, Litecoin, and Ethereum. It can also confirm your transactions through its screen and it is easy to bring because it can be folded. 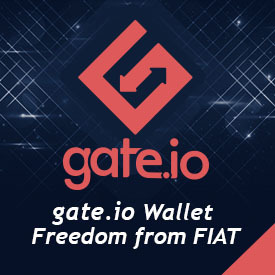 Another feature that this wallet has is that it reduces the risk of theft and hacking since your account will be offline when not used. To make sure that your account is safe, this wallet has a passphrase support that lets you create a 24-word recovery phrase. This hardware wallet also provides you with another layer of verification before sending a transaction. This makes sure that your account will always be safe from hackers. This is beneficial to those who engage in crypto mining, such as Bitcoin mining because this wallet allows users to receive rewarded coins. Sending and receiving cryptocurrencies from other users and converting coins through a crypto exchange is also possible. You can also manage different accounts and easily check them anytime you want to. Ledger Nano S is one of the latest generation hardware Bitcoin wallets available with a goal of making sure that your account will always be protected with its state-of-the-art security features.